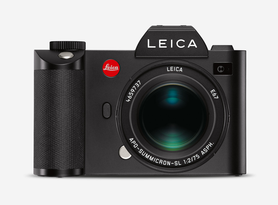 The new firmware updates enable full compatibility with current and future L-Mount lenses from Leica, as well as lenses from our L-Mount Alliance partners. For detailed information please download the following L-Mount compatibility chart. Power Saving Mode • Changed functionality: While not using the Electronic Viewfinder or any operating elements, the camera will go into ‘Auto Power Off’ after a fixed amount of time. • Changed the timing from 3 to 10 seconds. AF Position can be locked to avoid unwanted changes • New menu item added "Joystick Lock on/off"
New power saving mode • New menu item added "Power Saving Mode on/off"